Mike has the experience and expertise that people in business need to succeed from his history as a teenage entrepreneur which led to leadership positions in manufacturing, retail, radio, television, and ownership of a multimillion dollar publishing house, professional speaking, and consulting business. Mike helps people recognize the challenges to success, open their minds to new ideas and current methods, and helps business maximize performance and profitability. Hired for the fun but paid for the content, Mike entertains while he teaches – presenting as the keynote speaker at corporate trainings, in-house programs, and for professional association meetings. An example of his client list includes Great Clips, The Toro Company, Subway, Gillette, and American Family. Many clients have Mike return multiple times for their organizations. Hundreds of companies – from construction to healthcare, high technology to the auto industry- have relied on Mike for insight into furthering today’s business growth, innovation, and success. Mike’s performance ingredients (topics) include Change, The Customer Journey, Maximizing Performance, Teamwork, Leadership, Motivation, and Balancing Work & Home. 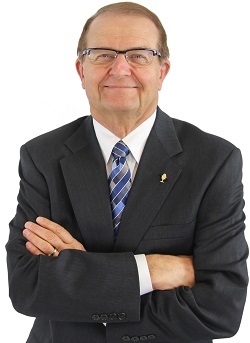 Working with Mike’s consulting clients and his vast array of businesses gives him a breadth of real life experience and business expertise on which to draw when he shares his ideas and performs for large audiences, individuals, management teams and boards of directors across the country. Education and training on the customer journey, partnership advocacy, generational and diversity issues, leadership and day-to-day business operations is the heart and soul of Mike’s presentation. It’s time to think fresh thoughts and seek new perspectives. Mike uses real life photos for fun and humor yet ties them into serious points about life and changing business creating the easy learning transition. He works to share his message of maximizing performance and enjoying the ride!